As a Special Needs Trust Attorney in Los Angeles County, Mina N. Sirkin serves a Board Certified Specialist attorney in Estate Planning, Probate and Trust Law whose mission is to protect the elderly. Licensed since 1992, Mina brings practical experience to special needs planning, as well as years of legal experience. Dedicated to helping families resolve special needs care and trust issues, the core of our practice involves Limited and Geeral Conservatorships in Los Angeles, Glendale and Woodland Hills. Many of our beneficiaries are on the autism spectrum. Our San Fernando Valley clients look to us to complete their estate plans, special needs trusts, Advance Health Care Directives, and guidance about government benefits in California. As a Special Needs Trust Attorney in Los Angeles County, Mina N. Sirkin serves a Board Certified Specialist attorney in Estate Planning, Probate and Trust Law whose mission is to protect the elderly. 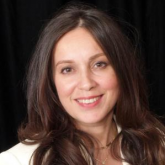 Licensed since 1992, Mina brings practical experience to the practice, as well as years of experience. Dedicated to helping families resolve disabled and special needs care issues, the core of our practice involves Special Needs, Limited / General Conservatorships, and Elder Law in Los Angeles and Woodland Hills. We excel at helping families with autism in establishign conservatorship and special needs trusts for their disabled loved ones. Preplanning for incapacity or disability allows counsel to look forward in years to what is needed for the special needs of adults and elderly clients. Our San Fernando Valley clients look to us to complete their special needs trusts, estate plans, Advance Health Care Directives, and guidance about government benefits in California.